At North Main Building & Design, we understand that a custom home is a reflection of your individuality and personality. Whether you’re looking for a charming downtown bungalow or a private mountain cottage, a craftsman-style starter home or a sprawling country estate, we’re here to guide you through the entire custom home building process and provide you with lasting peace of mind. Over the years, we’ve built custom homes for people from all walks of life, including singles, families and retirees. These homes have varied greatly in size and featured a wide array of amenities. Today, you can choose from several of our popular custom home floor plans, customize a plan to suit your needs or create your very own plan based on your unique vision. In addition to building quality, well-crafted custom homes, we also take great pride in building life-long relationships with our clients. Most of our business comes from referrals or repeat business. And not only is complimentary design services included in every project, we also use subcontractors who are reputable, experienced and loyal to us. 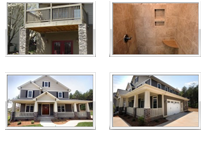 The result is a full-service custom home building team that’s dedicated to ensuring your complete satisfaction. Love your home, but want an upgrade? No problem. North Main Building & Design also specializes in home remodeling. We can design and build your dream kitchen, bath, outdoor space, home addition or even a mother-in-law suite. 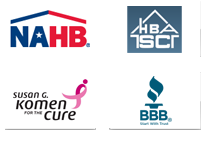 We’re extremely proud and passionate about our past home remodeling projects. Call 864.250.2837, and let us show you how we can help you build on your investment and take your existing home to the next level. As green builders, we stay up-to-date with the latest green home building technologies, and we support a wide range of sustainable building practices. Our goal is always the same: to build low-maintenance, high-performance homes and help our clients save money in the long run. If you’re interested in Energy Star appliances or WaterSense plumbing fixtures, just let us know, and we’ll be happy to integrate these and other green building products into the design and build of your next home.